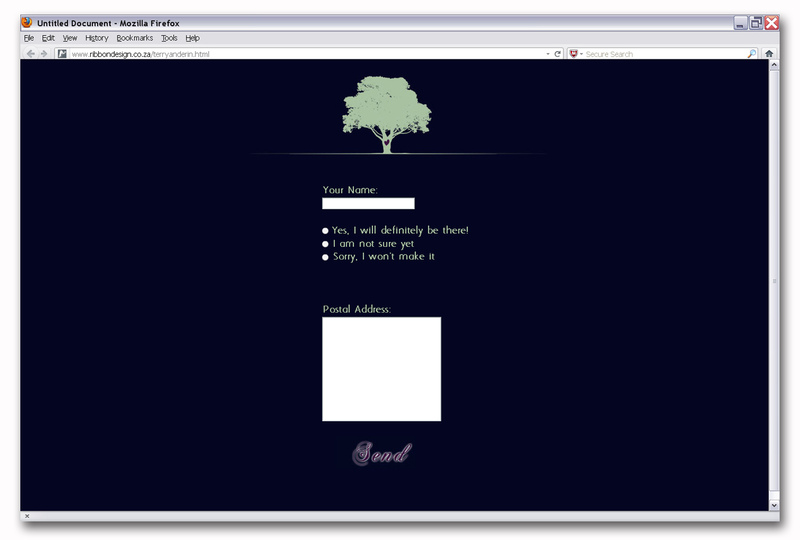 Here’s a quick look at our latest creation. 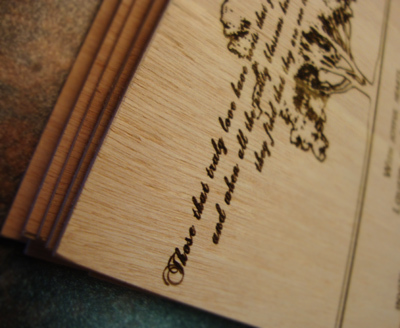 Very excited about my invitations – it took a lot of sourcing but the laser engraved wood looks fantastic! 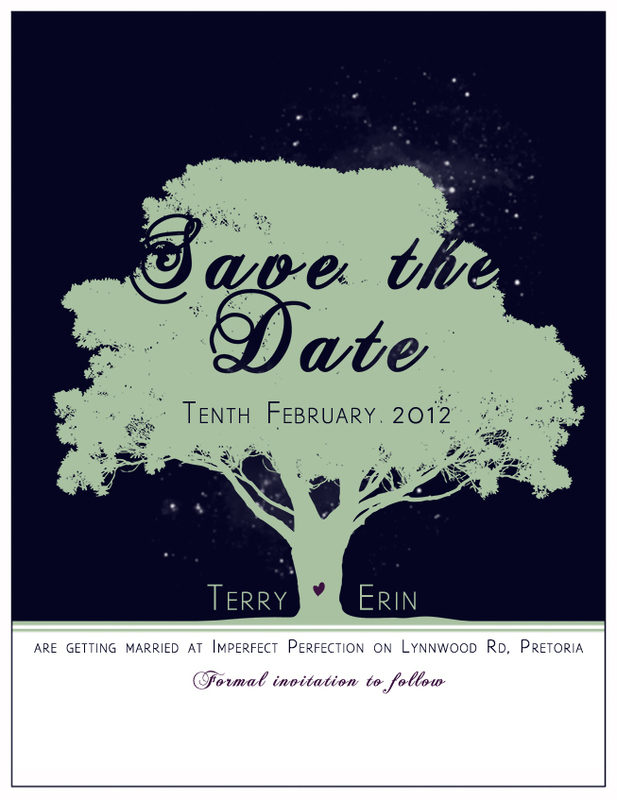 We all know Vera Wang for her famous wedding dresses but stationery too? 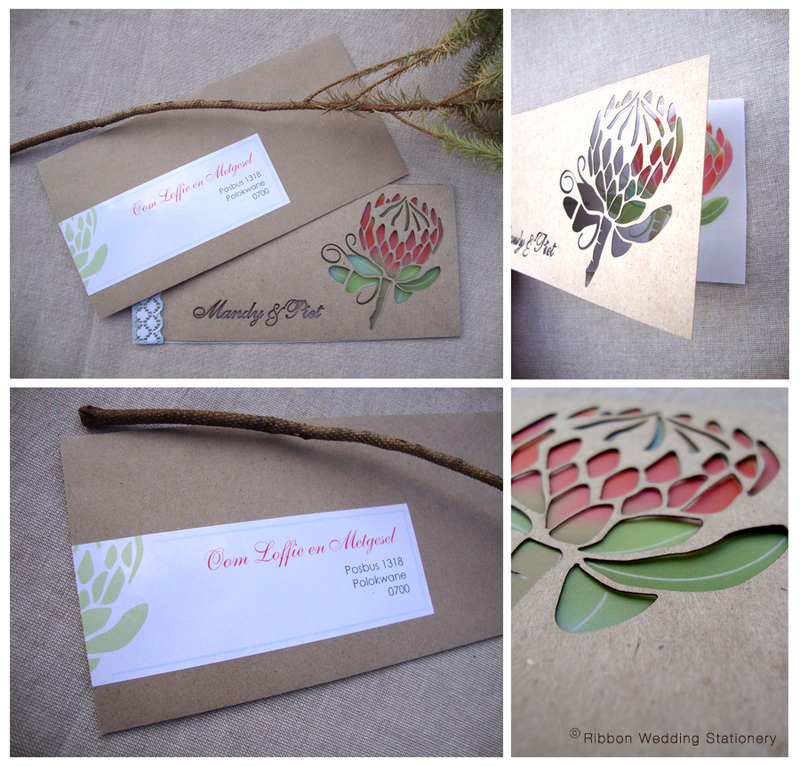 Like so many successful vendors in the wedding industry do, Vera has branched out; into the art of wedding invitations. 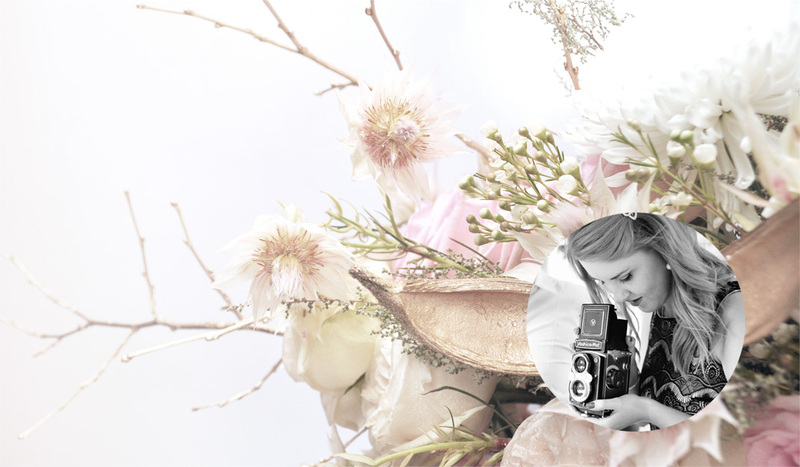 She has translated the whimsy, refinement and bold texturing of her dresses into paper and print. Miss Wang has even produced a line of quality papers – ‘Vera Wang Fine Papers’. 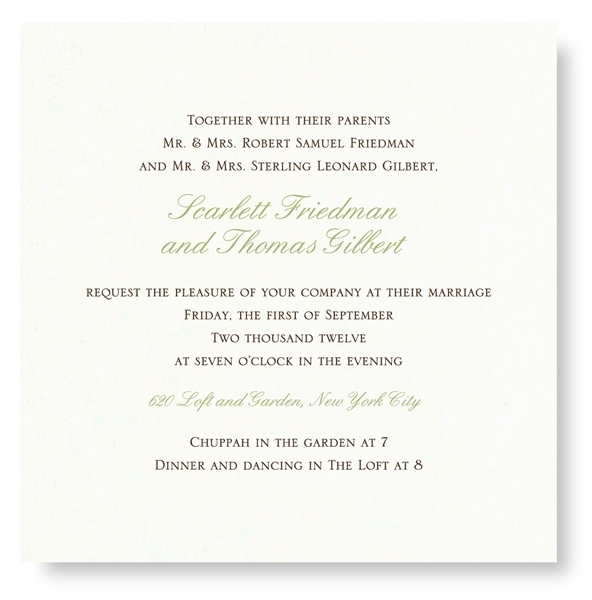 The use of these papers and techniques such as engraving and letter pressing, make for regal invitations. 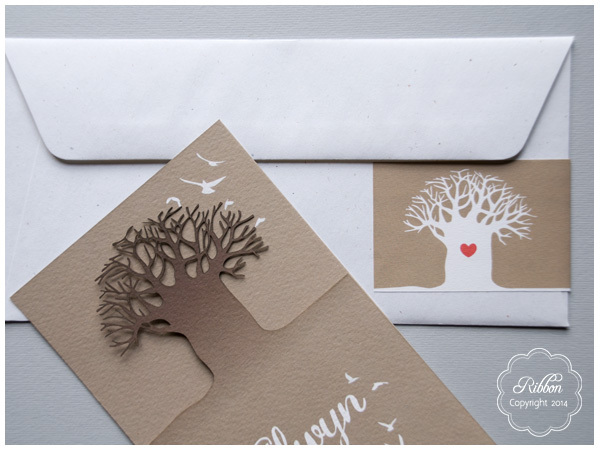 The style of her stationery is clean, modern and sophisticated – something that has been lost in recent years by over-embellishing and clutter of papers. There is little imagery displayed but rather a focus on the beauty of type. Ribbon Design commends this approach as text in itself can become magnificent in its simplicity when used correctly. 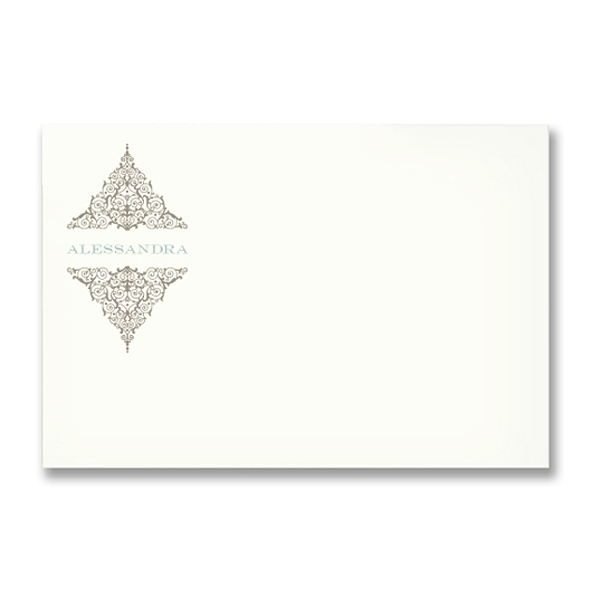 It’ll be interesting to follow the passage of Vera Wang Stationery as there are other designers (graphic) who reproduce the same quality of work. However, we think that simply having the name ‘Vera Wang’ attached to your invitation will be enough to encourage world-wide sales!